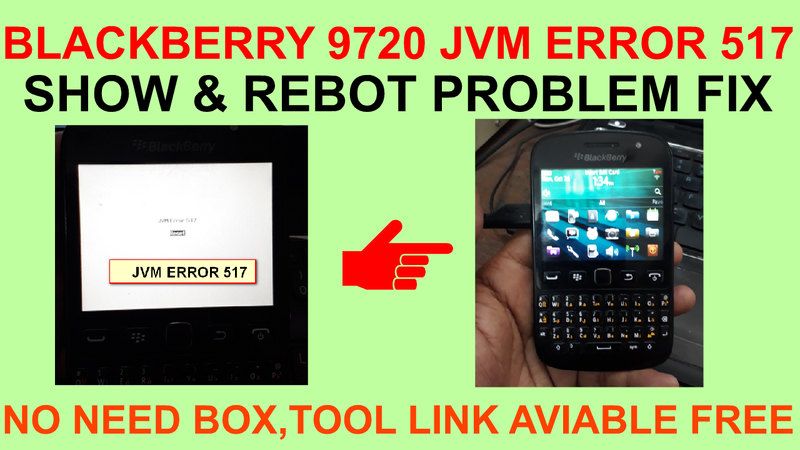 BLACKBERRY 9720 JVM ERROR 517 SHOW & REBOT PROBLEM FIX. 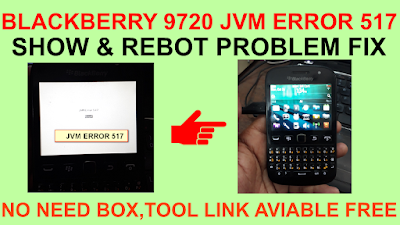 BLACKBERRY 9720 JVM ERROR 517 REQUIRED FILE. BLACKBERRY 9720 JVM ERROR 517 METHOD. 5# Connect your phone using data cable on pc. 6# Tool show repair option. 8# Now your phone new firmware download online. 9# After download complite install process show. 12# Now your phone jvm error 517 done.